Gosh.. this week has been SUPER CRAZY BUSY! We have been continuing poetry... I promised to continue talking about my poetry unit so here we go! 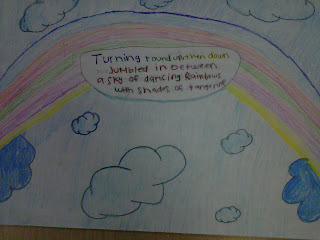 Tuesday - Students read the poem Kaleidoscope. 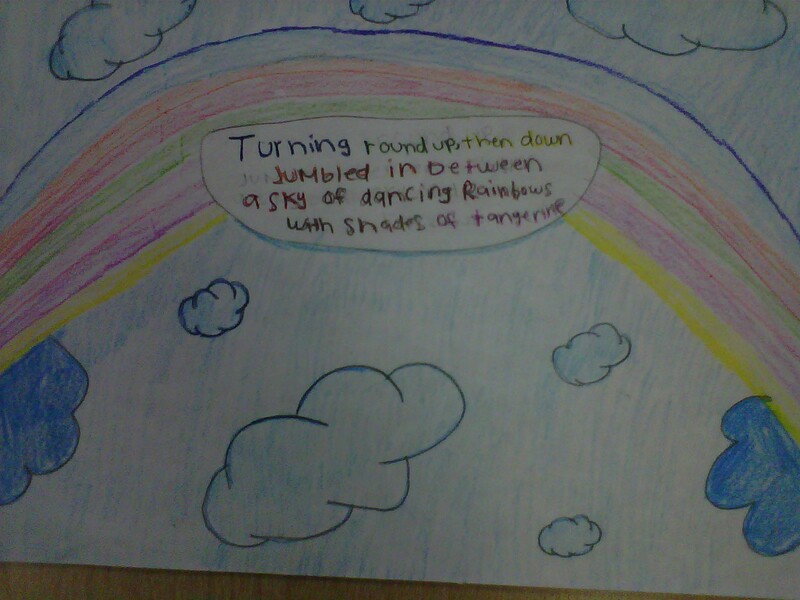 They were to label the stanzas, lines, and rhymes scheme. Then they completed a STAAR-style worksheet that I made over it. 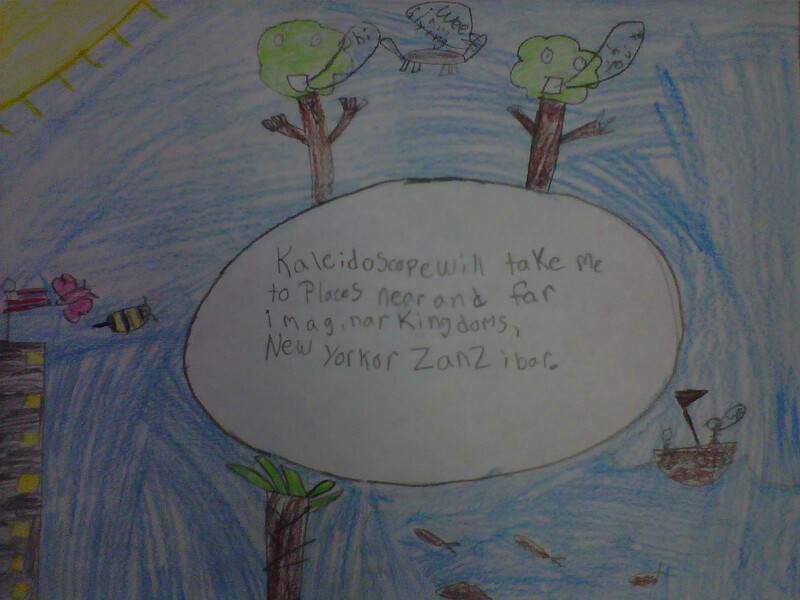 Finally, they chose one of the stanzas to write in the middle of a page and draw the imagery around it. 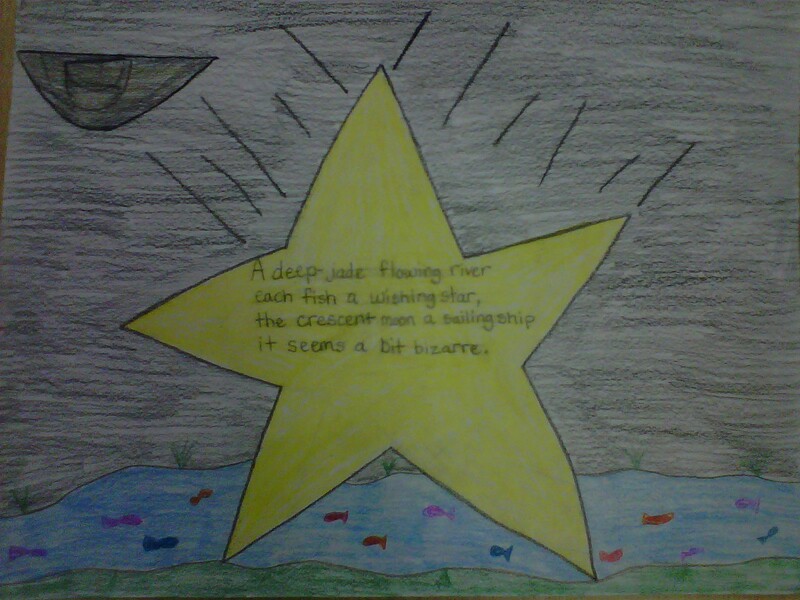 This poem was filled with some awesome imagery and the students did a FABULOUS job! Thursday - We went to the computer lab to work on Study Island. They completed the Poetry & Drama lesson for a grade. Yayyyy! I love the blog name! And these work samples are impressive. Who wrote the Kaleidoscope poem?